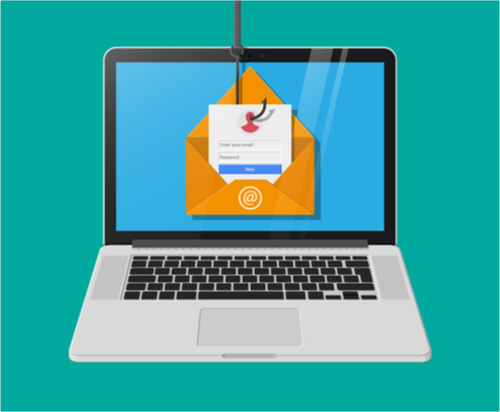 How to Spot a Phishing Scam – Hub Technology Group Inc.
Other signs that the email is not legitimate are if the name of the sender doesn’t match the email address, and if they do not personally address you in the email. If you see any of these signs, you should proceed with caution, or report it directly to your security team. If an email has a link embedded within it, you must be careful about clicking on it. These links can take you directly to malicious websites that can compromise your data or install malware on your network. Before clicking, you should look carefully at the URL, and be sure you know where the link is directing you. Rather than clicking on links, a better practice is to navigate to the website yourself. Using your own verified bookmarks or a trusted search engine can help you avoid visiting a harmful website. Phishing emails often impart a sense of urgency, encouraging the receiver to act without thinking. These emails can look as though they come from your boss or involve an immediate financial concern. The best way to respond to one of these emails is to verify it directly with the sender by some other means, such as a phone call. Establishing a company policy on this can help make sure these verifications are sought and given readily. Taking the time to verify can save your company thousands if the email was a phishing scam! No matter how secure your network, human error can allow hackers into your network. Because email is so ubiquitous, it is a popular and effective method to steal information and install malware. By taking the time to enact new policies and train all employees on the signs of phishing scams, you can greatly reduce your risk of becoming a victim of this common cybercrime. Contact us to learn how to keep your data and network protected.